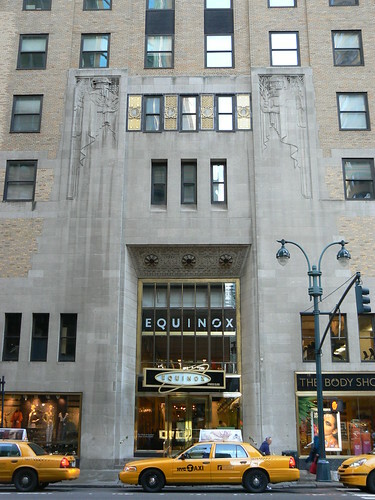 This is the second of the three entrances to the Graybar Building in Lexington Avenue, NYC. 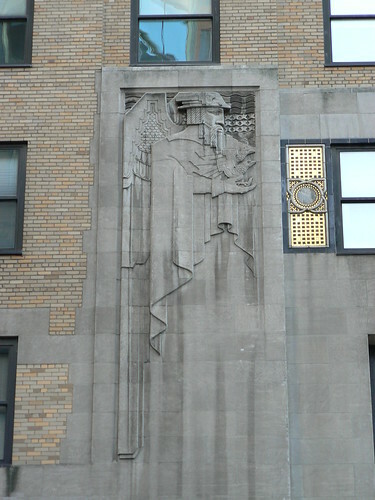 You'll notice it is very similar to the Grand Central Terminal entrance with the two Ayssrianlike figures. Again each of the figures is holding something. 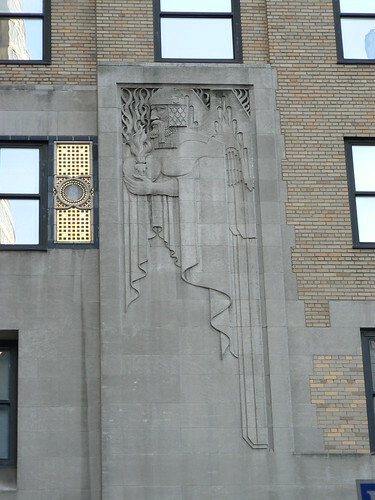 The figure on the left is holding a bird and the one on the right is holding fire. On Friday I'll post photos of the Graybar's third entrance.